Professional Soccer Player. Stock Broker. Man Turned Dog. And, now, Talk Show Host. Why not? Chad Benson is a Southern California native, who graduated from high school in 1989 and decided there was no reason to delay the formation of his world view. Fresh off the Cypress High School pitch, he spread his tiny wings and crossed the pond to play soccer professionally in the UK and Europe. His talents brought him to be signed onto the rosters of several teams, including the Bristol Rovers, the Fallkirk, Scotland and Portsmouth Football Club. After blowing out his knee and being told his days of pro play were done, Chad knew his next best assets were his sense of humor and his gift of gab. Yeah, there was that blip in time when he was a Wall Street guy, but it was his creative side that drove him back to the States to play radio in Los Angeles. His earliest gigs were at stations with legendary call signs like KZLA and KEZY. A few years later, missing his routine of crumpets and tea, Chad found his way back across the Atlantic to take a gig at Talk Radio UK. That’s where he collaborated with Adrian Marshall and Jeremy Scott and their on-air antics with the likes of Bono, Boy George, and Noel and Liam Gallagher. By 1996, Benson was on his way back to the land of the free and the home of the brave. He had to be brave taking the reigns of executive producer at the legendary CBS station, K-Earth, overseeing Los Angeles radio legend Robert W. Morgan. It was during this period that Chad was able to sharpen his vocal skills and started his other career as a voice artist, while also working off and on as a stock broker between 1998 and 2003. Then, he moved to Northern California and went full-time as a man of a thousand voices. He has enjoyed a successful run as the imaging voice for numerous radio stations, voicing commercials and corporate presentations, and even giving voice to cartoon and video game characters. As the lyrics from the WKRP In Cincinnati theme boast, Benson’s next stop on his tour town to town, up and down the dial, took him to the Alamo. Chad served a tour of duty at heritage station KTSA as Creative Director and Talk Show Host. By November, 2012, he was able to land in an opportunity to work in the business he loves most, much closer to home. While working for KNWZ AM & FM in Palm Springs, Benson really sharpened his skills tackling current events and issues on his afternoon drive radio program. His approach to finding common sense solutions, using his fiscally conservative and socially moderate points of view, has engaged a dialogue with an audience that has eluded much of the American talk radio listenership landscape. 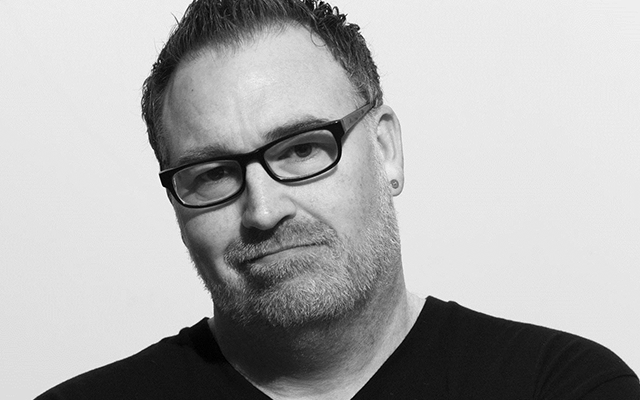 Chad’s ability to connect with Millennials, Gen X’ers and Baby Boomers alike led to landing on the nationally syndicated stage of the Chad Benson Show on Radio America. In addition to hosting a dynamic, three-hour show coast-to-coast every weekday, Benson is also executive vice president of Univocity Media, a multi-faceted entertainment content company that is also in the business of creating mobile applications and gaming for broadcast personalities and companies. For all of his professional achievements, Chad knows that his greatest accomplishment is being dad to his five-year-old son Jack.